Harajuku girl in a long plaid coat over a Beyond The Kawaii top, colorful pants, Fessura mummy sneakers, and a CawaiiTillIDie rainbow bag. 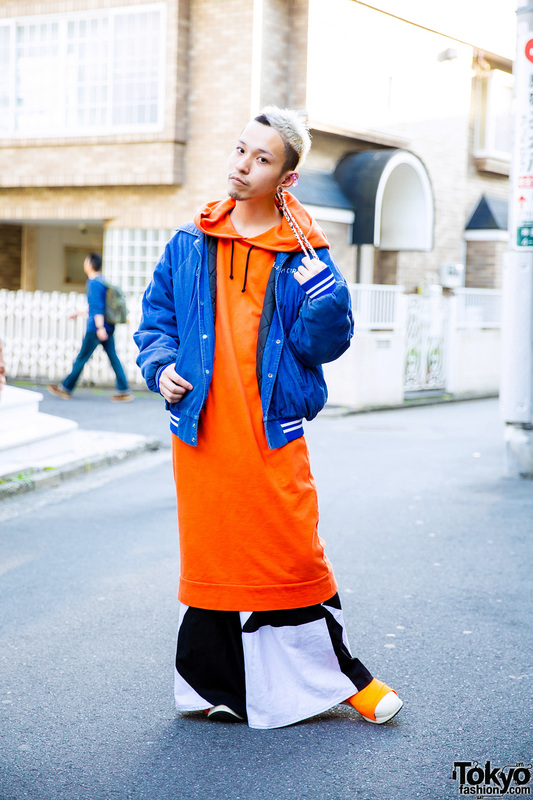 18-year-old Harajuku girl wearing a look by the Japanese designers Comme Des Garcons and Yohji Yamamoto with Fessura Italy mummy shoes. 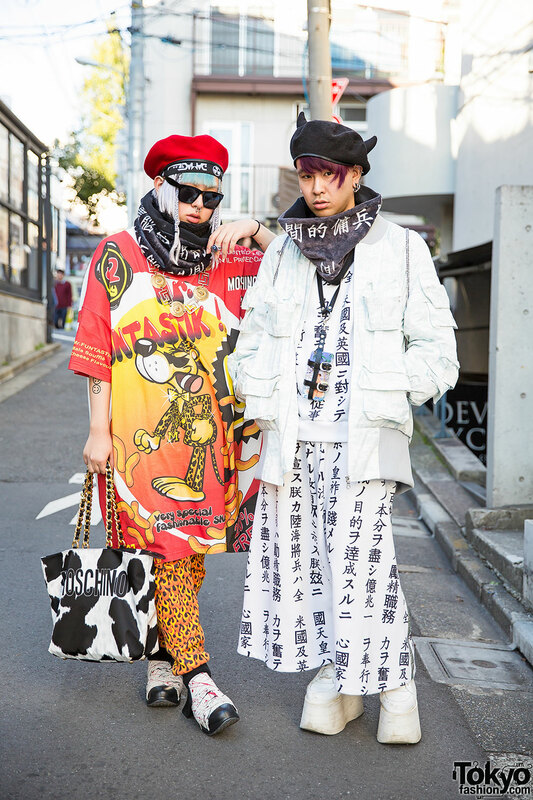 Elleanor on the street in Harajuku with colorful hair and fashion by Heterophobia, Fessura, and Uggla Japan. Harajuku trio wearing all stripes and blue sneakers, all white and neon pink, and all white with green with handmade accessories.